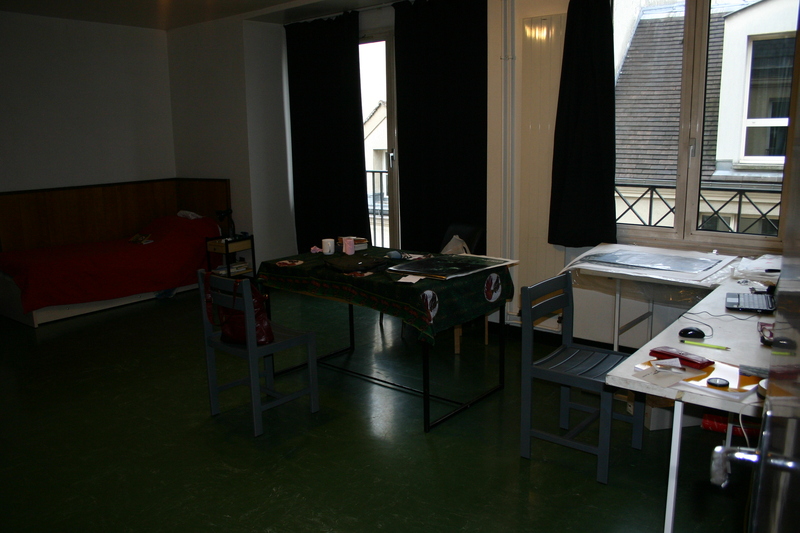 At last, “home” again in the Cite des Arts. It has taken me a few days to settle in, and to get this internet-thing working. I am working my way around to the galleries by starting close to home. 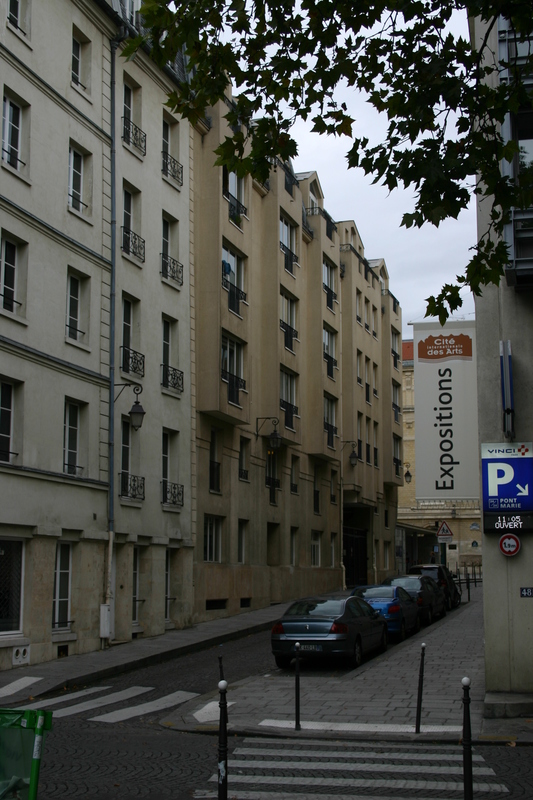 It seems that Paris is stillin their “month of Photography” mode, because 2 of the galleries so far only exhibited photography. Lieze, this was for you! At the Maison Europeene de la Photographe they dedicated two halls to the work of Karl Lagerfeld himself. He is an avid photographer, and loves to experiment. Huge photographs rendered onto silkscreens and then printed onto canvasses. This show illustrates that the most important attribute of art and design is a feeling for line, balance, texture and tonal values. At the gallery of the Cite des arts, they are also showing photography. French photographers in Moskow, and Russian photographers in Paris. Very interesting and technically brilliant. Viva la black-and-white 800ASA, so grainy that it looked as if some of the photographs were air-brushed. Last night i went to a free concert at the auditorium of the cite. A duo from Albanie. Lovely renditions of Albanian folk songs. A pity the audience (lots of old uncles from the homeland) couldn’t hear themselves sing along in the wrong key!! No snapshots in the museums, so i include some i took yesterday. It has been cool and drizzly, a welcome change to the heat in Pretoria. 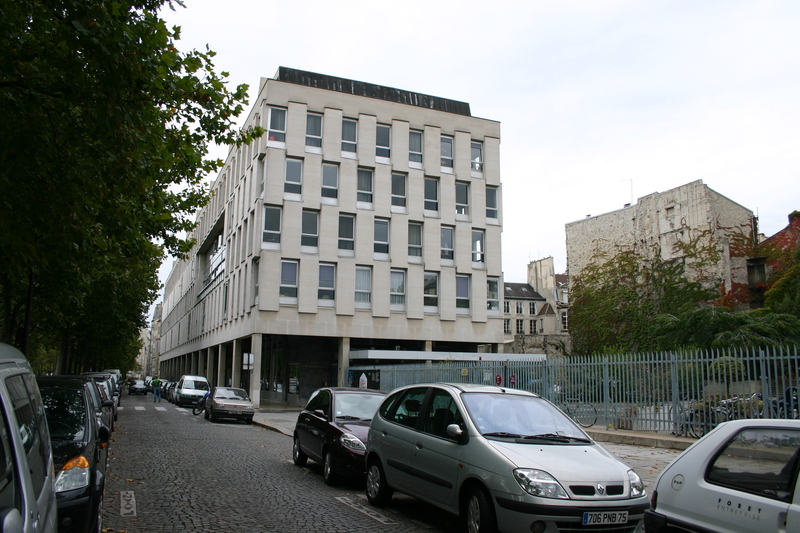 There is a picture of the studio with its bare minimum, one of the Main building of the Cite, and Batiment B, where i am. i dont know how to re-align the photos!